Sunflowers are in various stages of splendour around the city. Some are in full bloom. Some are drooping. Some are going to seed and their petals are drying and falling off. 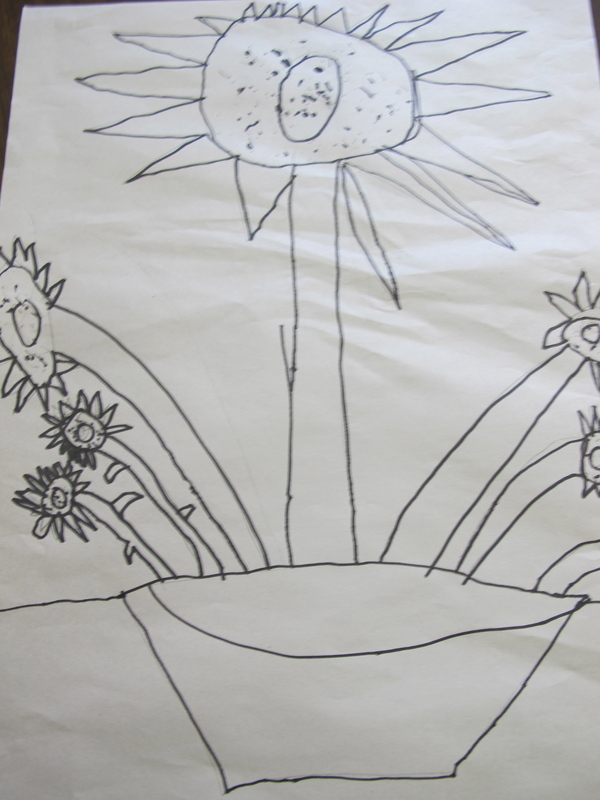 We brought in sunflowers and filled our room with sunflower books and captured this beautiful moment of fall in our artwork. 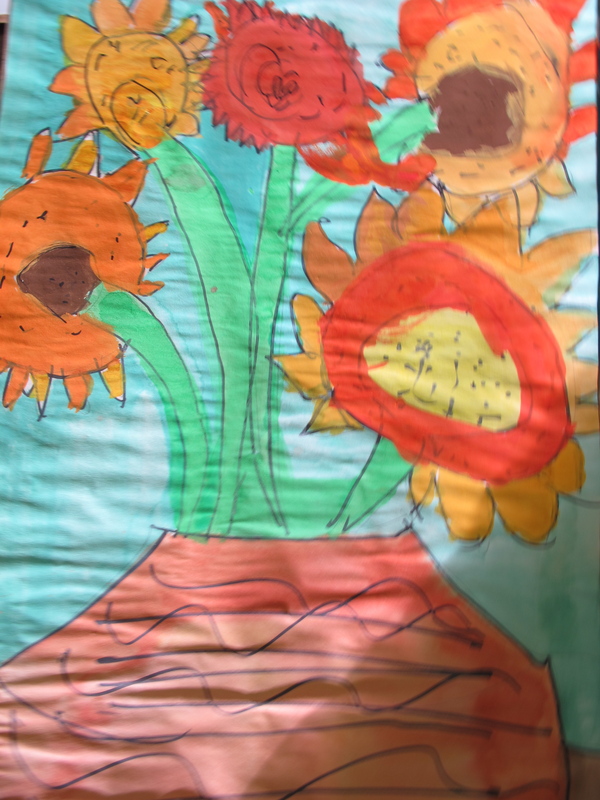 Our sunflowers were also inspired by the gorgeous Vincent Van Gogh sunflowers on the blog For the Love of Art. 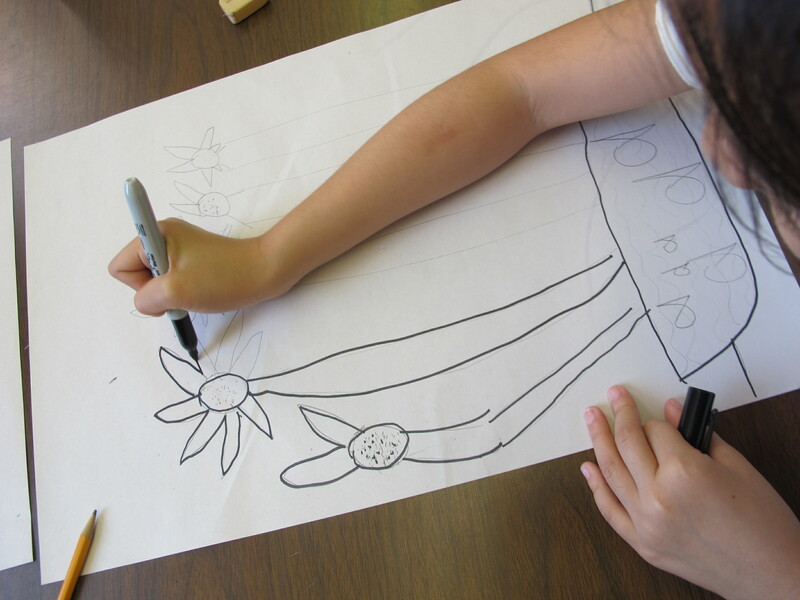 First we drew sunflowers in pencil and outlined our completed drawings with black sharpies. 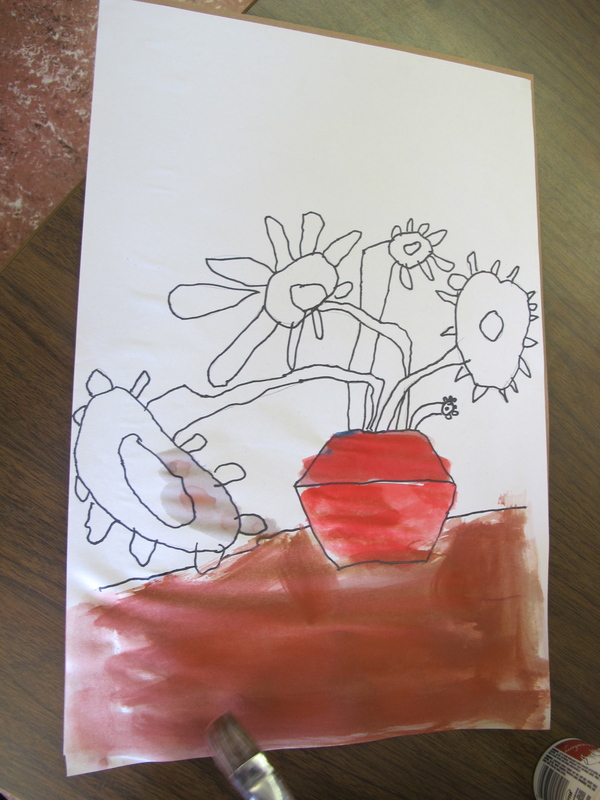 Students thought about petal size and shape and showed flowers in various stages of vitality. 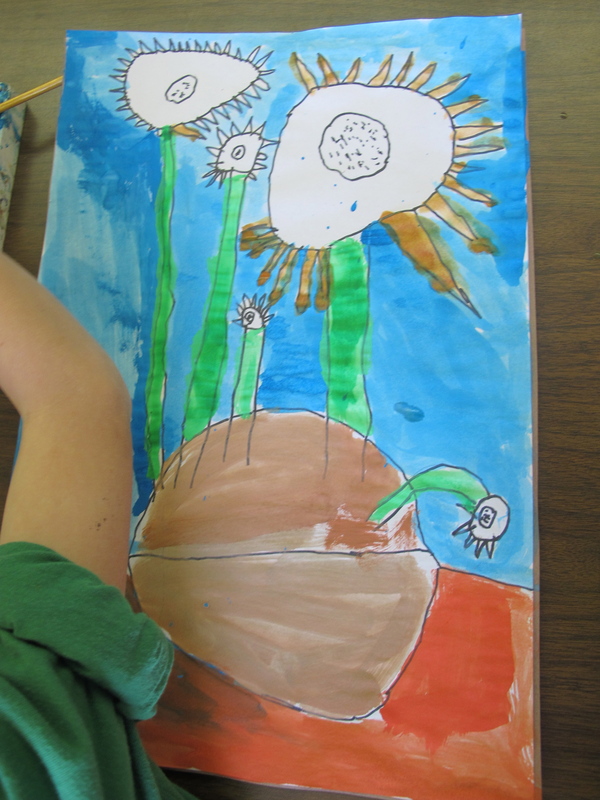 Some students added insects or other details to their pictures. There were no rules about size and shape of flowers and so each picture turned out to be very different. 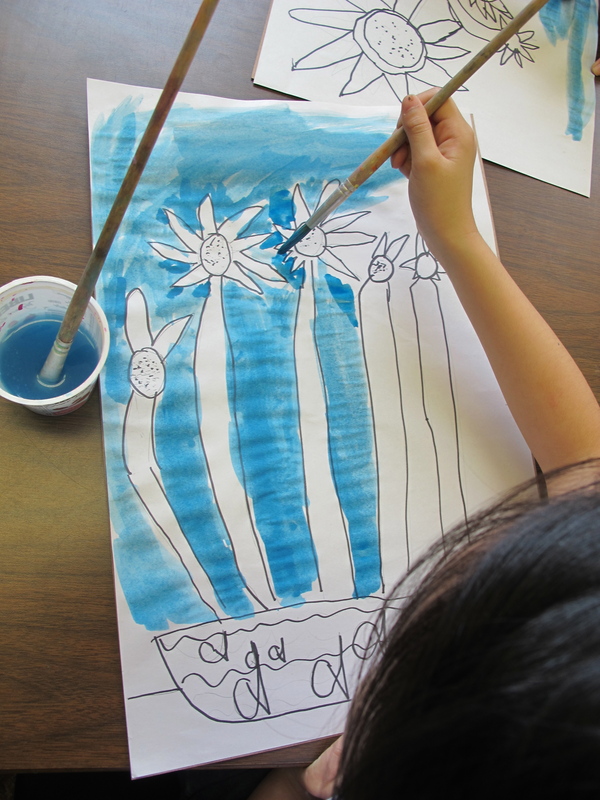 Students chose to use a smaller brush when painting close to their flowers and stems. Everyone was very excited about how wonderful the first colours looked together. Day 3 was all about paining the stems and all of our blossoms and petals. 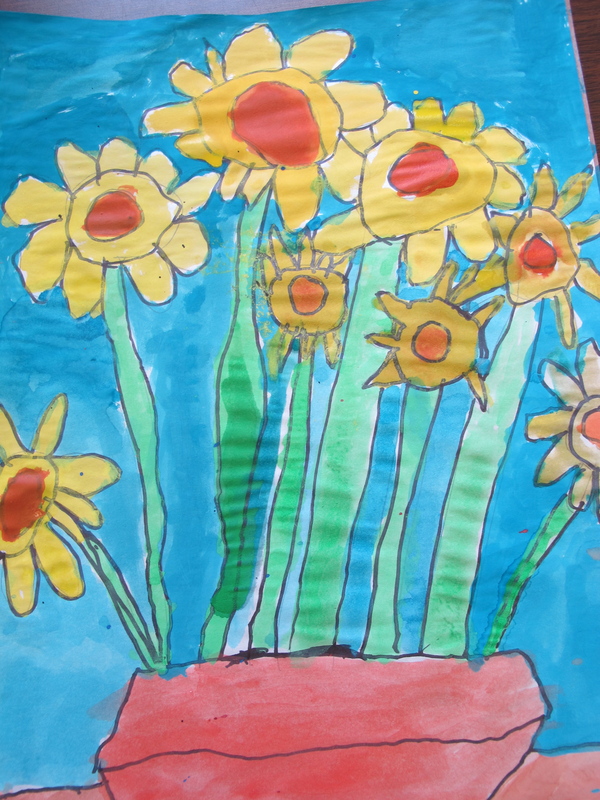 We used browns, yellows and oranges for the flowers. 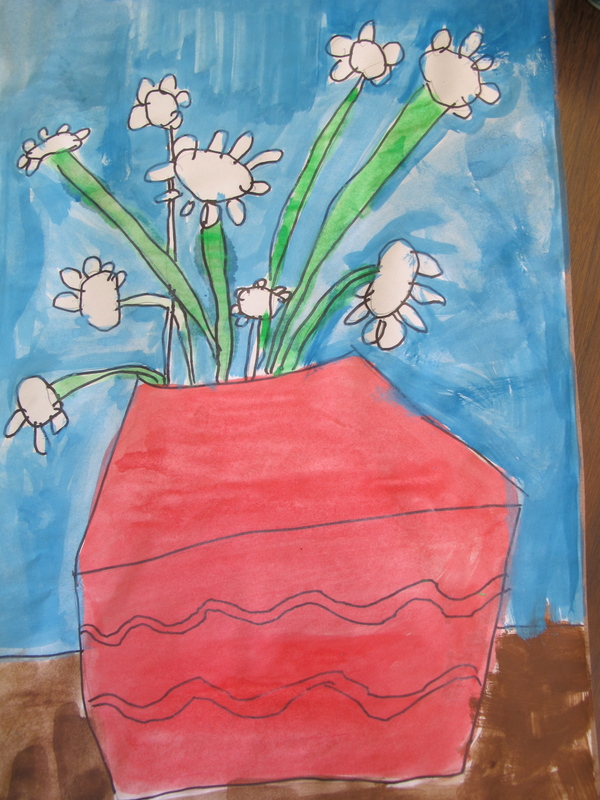 Students snaked their paint brushes up the stems between vase and flowers. 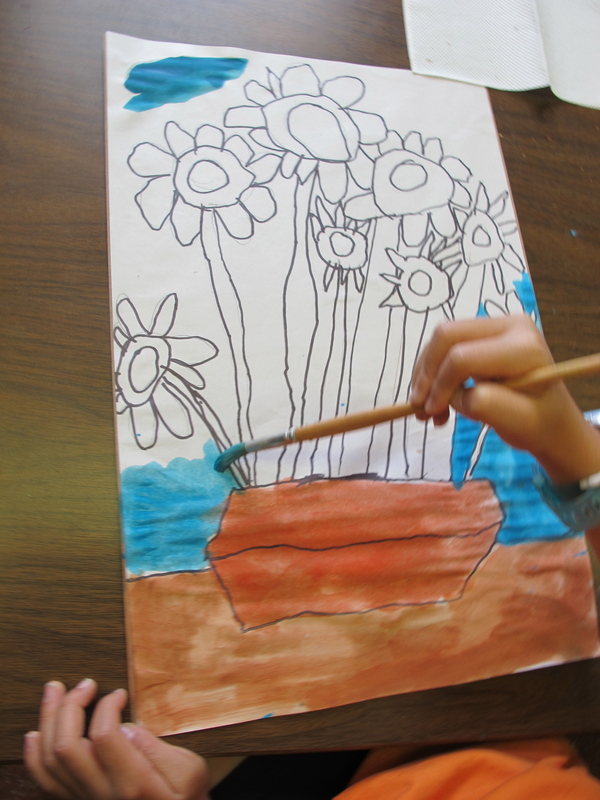 Painting the sunflowers allowed us to get very creative. Students blended colours and spent the entire art class on task and talking about their work. Just lovely to observe! 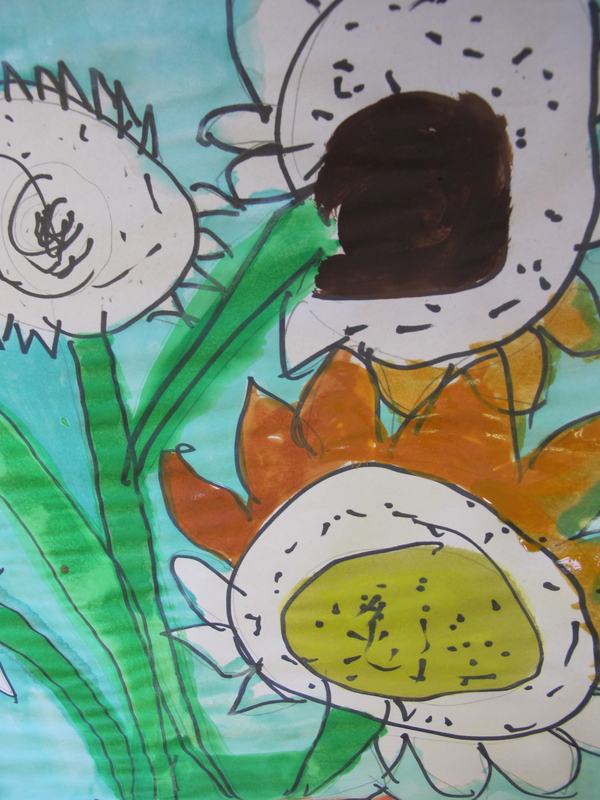 If your class has done any sunflower art this fall, please share by providing a link in the comments section! 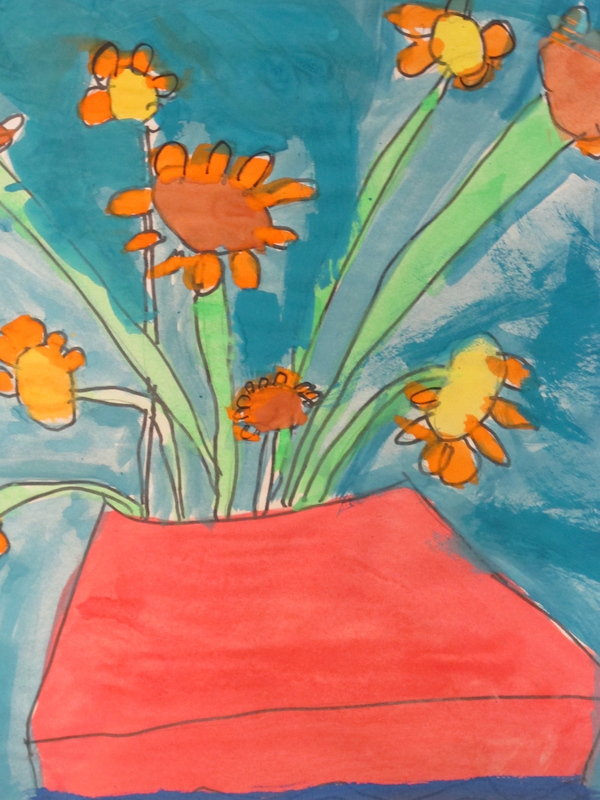 This entry was posted in Art and tagged art, nature by carriegelson. Bookmark the permalink. 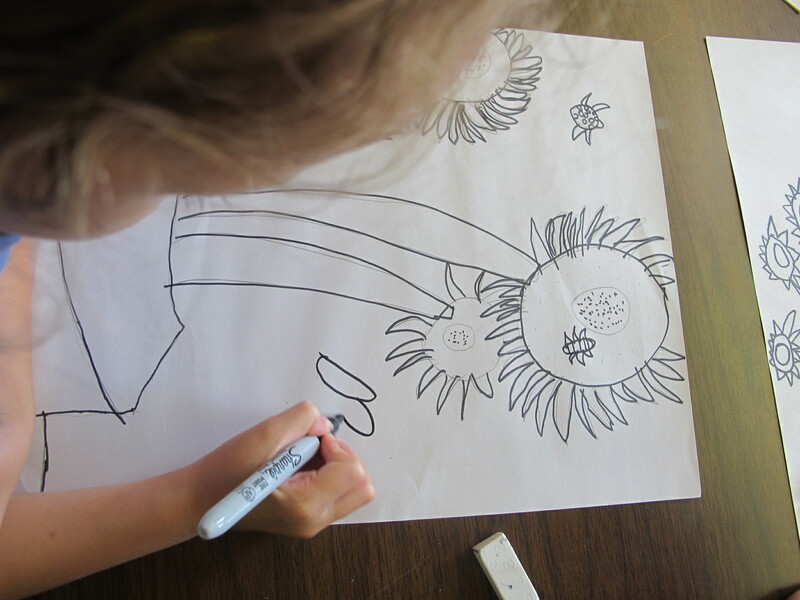 Those are great and while we haven’t done any sunflower art, your art is inspiring me to figure out a way to do it with my class too. Thanks for sharing your wonderful art work. It was a LOT of fun and high success rate. Everyone is happy with their work. Posting them in our hallway today as they should have finished drying overnight!